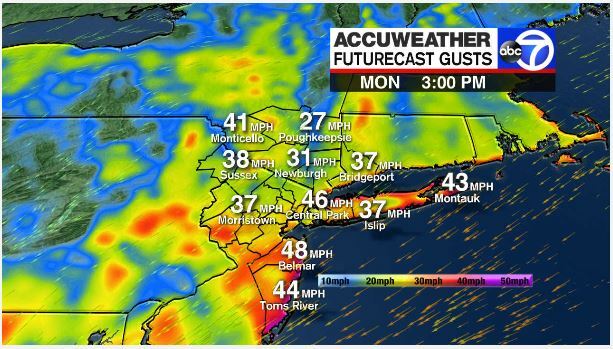 A powerful Nor’easter is making its way into the Tri-State area Monday, bringing heavy rain, coastal flooding and possible power outages. Meteorologist Bill Evans says the rain will be heaviest Monday afternoon and evening with 1.5 to 3 inches of rainfall expected, which could cause localized flooding. A high wind warning is in effect for sustained winds of 30 to 40 mph, gusting over 50 mph at times by mid-afternoon. The strong winds has already toppled some trees and power lines, causing outages. 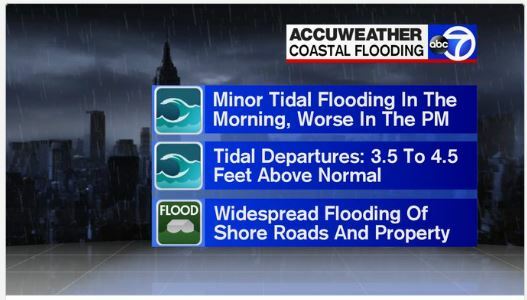 A coastal flood watch is in effect until 9 a.m. Tuesday. Tides will run 3 to 4 feet above normal. Plan your commute ahead of time. If you need Bermuda Limousine for car service during this time, we are available 24/7. Contact our dispatch department at 212-647-8400 or click here to make a reservation. When should you use a Professional Chauffeured Car Service in NYC?